Every once and awhile Rough Pixels will release a free WordPress theme for you to enjoy. It also gives you the opportunity to try out the free version before upgrading to the premium. I am writing this to let you know that I am making the Storytime theme available as a free download! Whenever I create a free theme from the premium version, I like to make sure you still get a great theme with lots of features. Of course, if I had all the premium features in the free one, why even release a free one? Storytime is perfect for authors who love writing stories that transform words into amazing worlds of imagination. They let you escape the realities of everyday life and stories are often better than watching movies. 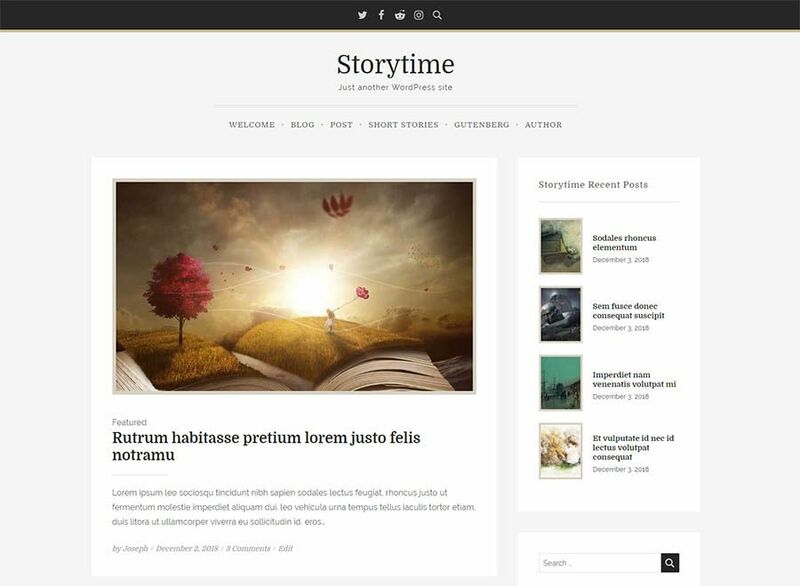 For writers and other authors who seek a WordPress theme that lets you create your words of art, Storytime is perfect for you. If you are curious what amazing features you get, check out the theme comparison for Storytime. If you would like to try out the Storytime theme for free, click the button below. Once you download Storytime, install it, and enjoy what this theme has to offer; you may want to opt in for the premium version. Right now, Storytime is sitting in the queue over at wordpress.org while it waits to get reviewed. Once it passes 100%, Storytime will be added to the theme directory at WordPress. Normally with free themes, support is given from the theme page’s own support forum at WordPress, but right now Storytime is downloaded as-is and personal support is not included. However, documentation is available. If you need support, you are welcome to sign-up for Storytime Pro, which does include premium support and theme updates!